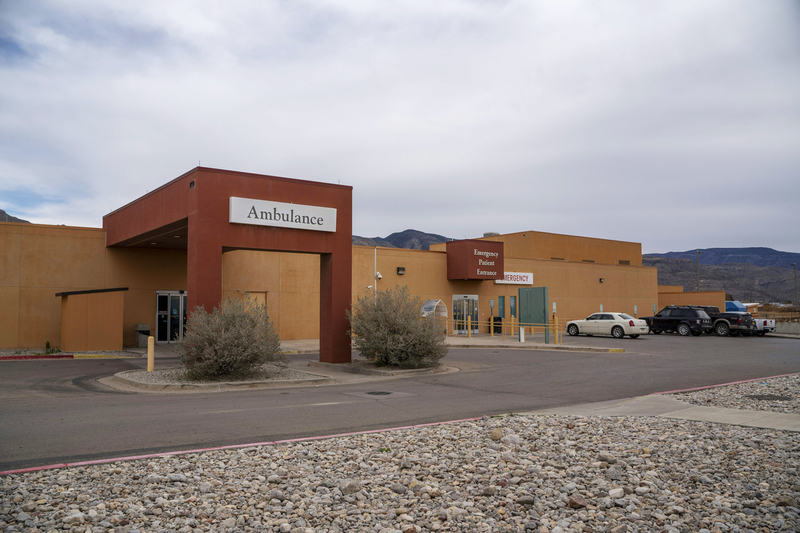 8-Year-Old Migrant Boy Dies In Government Custody In New Mexico Hospital The Guatemalan child died late in the evening on Dec. 24 in Alamogordo, N.M. He's the second child to die in U.S. Customs and Border Protection custody this month. Gerald Champion Regional Medical Center in Alamogordo, New Mexico where an 8-year-old boy from Guatemala died in government custody on Monday U.S. Customs and Border Protection says. An 8-year-old boy from Guatemala has died in government custody, U.S. Customs and Border Protection says. The boy died just before midnight on Monday, at a hospital in Alamogordo, N.M. He is the second child this month to die in CBP custody after being apprehended by the agency. The Guatemalan Foreign Service has identified the boy as Felipe Gomez Alonso, NPR's Carrie Kahn reports. Felipe was initially sent to Gerald Champion Regional Medical Center with his father during the day on Monday, according to a statement from CBP. Hospital staff diagnosed the boy with a common cold and a fever, and released him in the mid-afternoon with prescriptions for antibiotics and ibuprofen. He was transferred back to the hospital later that evening, after he began vomiting, and he died hours later. In its initial statement, CBP had said that the boy died after midnight on Tuesday, but the agency later adjusted the time to late Monday. CBP says it does not know the cause of Felipe's death. "This is a tragic loss," wrote CBP Commissioner Kevin K. McAleenan in a statement. "On behalf of U.S. Customs and Border Protection, our deepest sympathies go out to the family." Felipe and his father were apprehended several miles from the Paso Del Norte Port of Entry in El Paso, Texas, on Dec. 18, according to the updated statement from the agency. Two days later, they were transferred from the processing center at the Paso Del Norte Port to the El Paso Border Patrol Station. Late on Dec. 22, the boy and his father were moved a final time, to the station in Alamogordo. CBP says they were transferred "to finalize processing." "These checkpoints are the small stations that travelers pass on highways as they move away from the border," says NPR's Monica Ortiz Uribe. "They're not the kind of facilities equipped for long-term stays." A 7-year-old Guatemalan girl died of dehydration and septic shock while in government custody earlier this month. The girl, Jakelin Caal Maquin, had been apprehended in New Mexico after crossing the southern border into the U.S. illegally with her father. Her death on Dec. 8 prompted calls for investigation from the Congressional Hispanic Caucus, which says "disturbing systematic failures" and a lack of medically trained agents prevented the government from adequately caring for its child. Last week, a delegation from the caucus, including the chair Rep. Joaquin Castro of Texas, visited the facility where the girl had been held. The Democratic congressman told reporters that officials failed to intervene in several instances when they could have saved Jakelin's life. Jakelin and her father were taken to the Antelope Wells port of entry after turning themselves in to CBP officers in early December. The girl began vomiting during a bus transfer to Lordsburg Border Patrol Station. By the time she arrived at the station, she had stopped breathing and had to be resuscitated. She was flown by helicopter to a hospital in El Paso, Texas, where she died. The congressional delegation criticized the medical facilities at the Lordsburg station and questioned CBP's decision to transfer the girl to a second facility. Members also criticized the administration for demanding funding for a border wall, rather than ensuring that detention centers had sufficient resources. Following the boy's death on Monday, Border Patrol will conduct secondary medical checks on all the children currently in CBP custody, says the agency. Its Office of Professional Responsibility will also conduct an investigation. Uribe says lawmakers will likely call for another independent investigation.